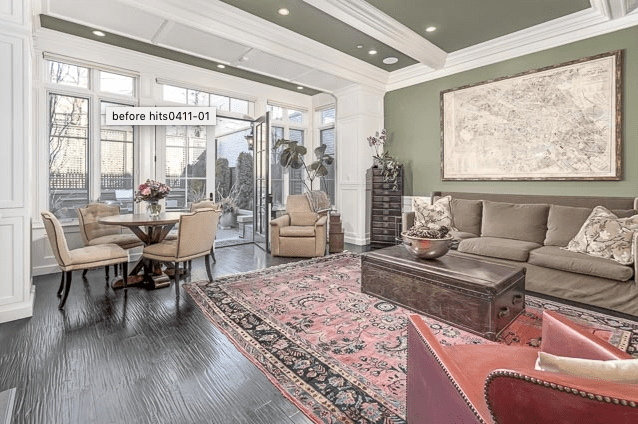 Bobby and Johanna Rahal bought this Lincoln Park home in 2015 for $4 million and embarked on a thorough rehab. “It wasn’t very old, but we thought it could be much better than it had been,” said Bobby Rahal, a two-time Indy 500 champion (as a driver in 1986 and team owner in 2004) who has been involved in several aspects of auto racing, auto development, and car dealerships. The Rahals are listing the Burling Street home for sale April 12, for just under $5 million, represented by Jameson Sotheby’s International Realty’s Jennifer Mills Klatt. A wood deck stood here when the Rahals moved in, but “it was not surviving the Chicago weather,” Bobby Rahal said. They replaced it with a bluestone terrace, designed by Chicago-based Botanical Concepts’ Denise Rosenbloom. Ringed by planters and an outdoor cooking station, it’s like an outdoor counterpart to the family room and kitchen pairing inside. The upgrade included redoing the support structure beneath the terrace to accommodate the increased weight of stone, soil and plants. 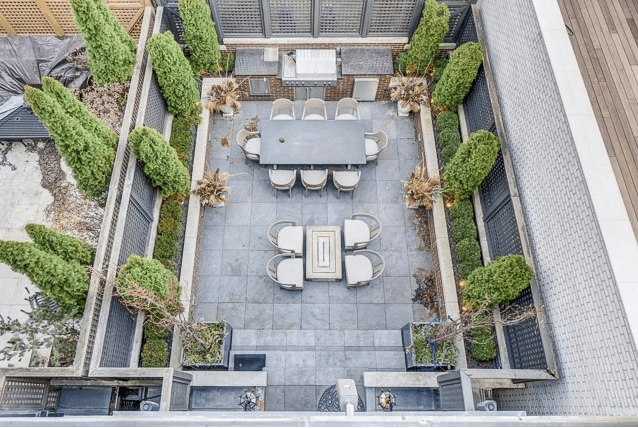 Though many Lincoln Park blocks have alleys, this one doesn’t, which makes the rear terrace “feel more private and quiet,” he said.